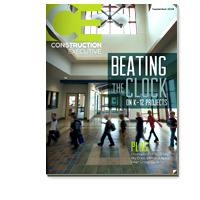 The family of features from ConstructionOnline™ has expanded again! UDA is proud to announce the addition of the new Custom Company Mobile Apps. 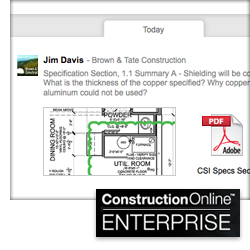 Recently several OnSite Mobile Apps were featured in an August special edition article in Construction Executive magazine, the leading publication for the business of construction. UDA Technologies is excited to announce the newest addition to the live webinar series! 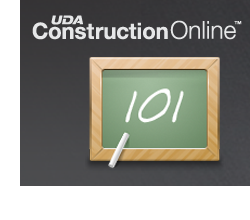 ConstructionOnline™ 101 Workshops were recently launched. It is the company's first webinar series dedicated to providing new and potential users with valuable training for ConstructionOnline™. The list of features offered by ConstructionOnline continues to grow! ConstructionOnline has taken the guesswork out of the RFI process with the addition of RFI Tracking. 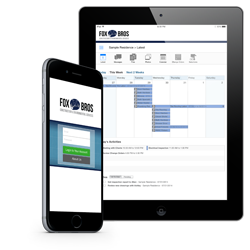 RFI Tracking merges the convenience of email with the project management of ConstructionOnline.